Published: March 5, 2017 • Modified: November 3, 2018 • by Author: Analida • Word count:618 words. • About 4 minutes to read this article. I can honestly say that I’ve never met a carbohydrate I didn’t like, so this tasty treat is right up my alley. It can be eaten as a super snack, a lovely lunch, or a delectable dinner. I am all in favor of foods that can be eaten at different times of day. Versatility is key in my book. Furthermore, there are various types of fatayer, like the cheese fatayer I blogged about just a few months ago. Lebanese lamb fatayer is an excellent example of street food, comfort food, as well as delicious food, all wrapped up into a pastry. Literally! This dish is easy to make, since all it takes is just a few simple steps. You can do it! 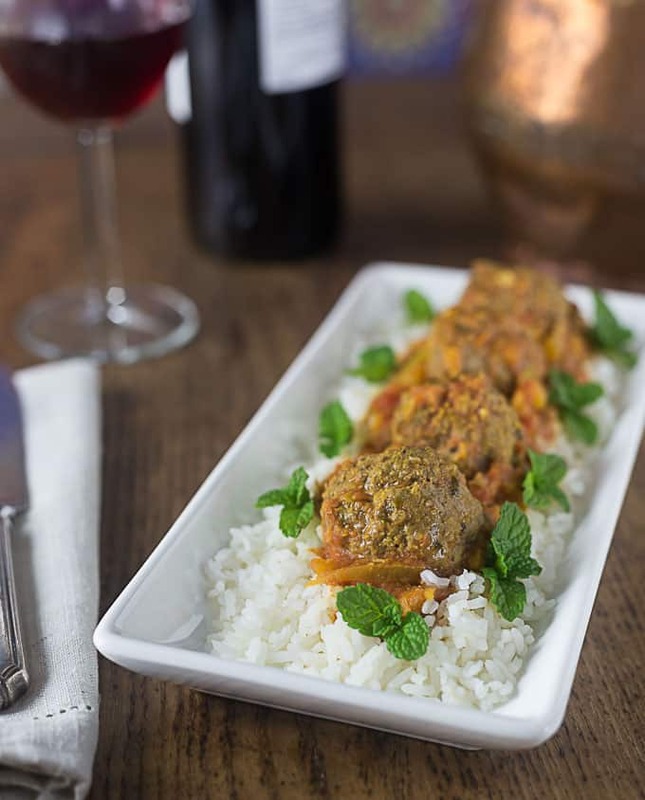 Lebanese food is immensely flavorful, not to mention healthy since it uses lots of whole grains, vegetables, and fish. Lamb is the meat of choice, and there are countless and wonderful ways to prepare it from a roast, to an aromatic stew, to grilled kebabs, and kofta. The possibilities for lamb are truly endless. 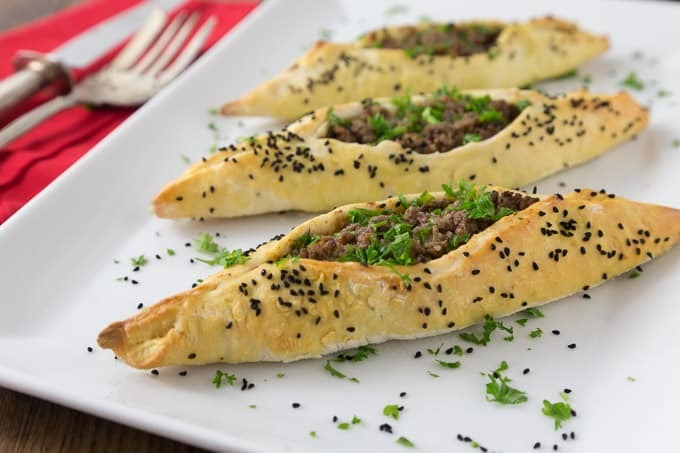 Lebanese lamb fatayer is the culinary cousin of the humble pizza and is also similar to the Turkish pide. The spice that makes everything come together is zatar, a mixture of spices used throughout the Middle East. 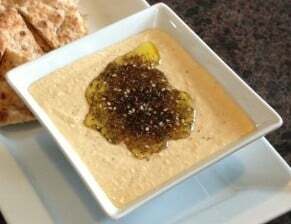 The key ingredient in zatar is sumac, a reddish powder from the sumac tree. The Romans used sumac for centuries until the arrival of citrus fruits. 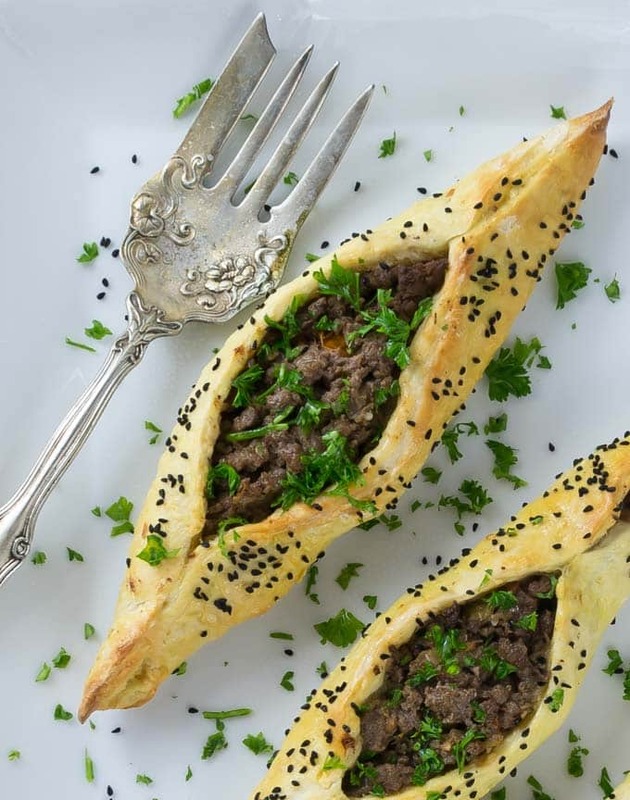 Lebanese lamb fatayer is another family favorite. I’ve made it with lamb, beef, and also with venison. Yes, venison because my husband goes hunting every year, consequently we always have an ample supply of venison in the freezer. 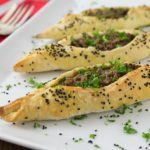 Try a simple and exotic Lebanese lamb fatayer with a simple dough and an incredible spice mixture. 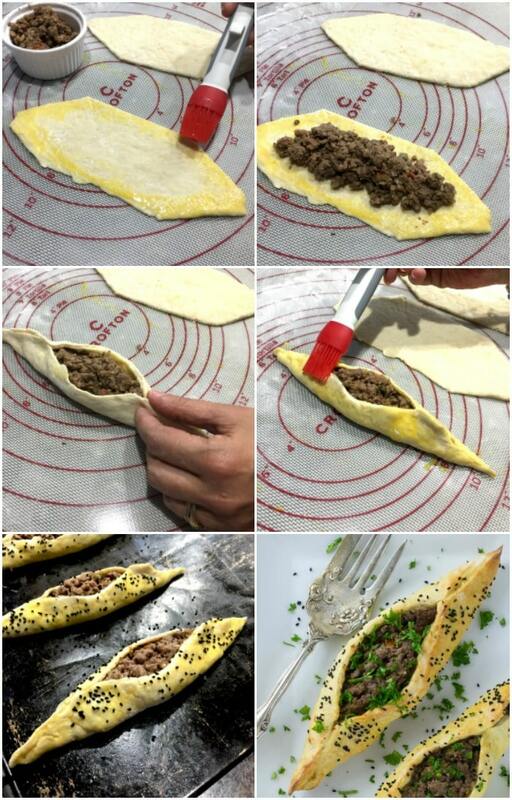 This is a Lebanese version of a calzone and will be a family favorite and fun to make too! In a large bowl place flour and salt and mix well. In a small bowl place the warm water (the water should be between 100-110'F)). Add the yeast and sugar, stir lightly and let it sit until frothy ( this will take about 5-10 minutes). Add the yeast mixture to the flour and blend well until a soft dough forms. Rub a deep bowl with olive oil and place the dough inside the oven. Cover and let it sit until double in size (between 1-2 hours). Turn dough onto a floured surface. Punch down and knead for about 5 minutes. Roll dough into the shape of a cylinder, and cut into 6 equal parts. To make the filling, heat the oil in a non stick skillet and saute the onion and garlic until translucent. Add the tomatoes, and the ground lamb. Use a spatula to break lamb into small pieces, and sprinkle in the salt, allspice and zatar. Divide the dough into 4 equal parts, and roll out each part into a 9" x 3" oval. Place filling down the center of the oval and then brush around the edges with the egg wash. Pinch the top and bottom of the oval to create a boat shape, and fold sides inwards. Place individual fatayer on a baking sheet that has been sprinkled with cornmeal. 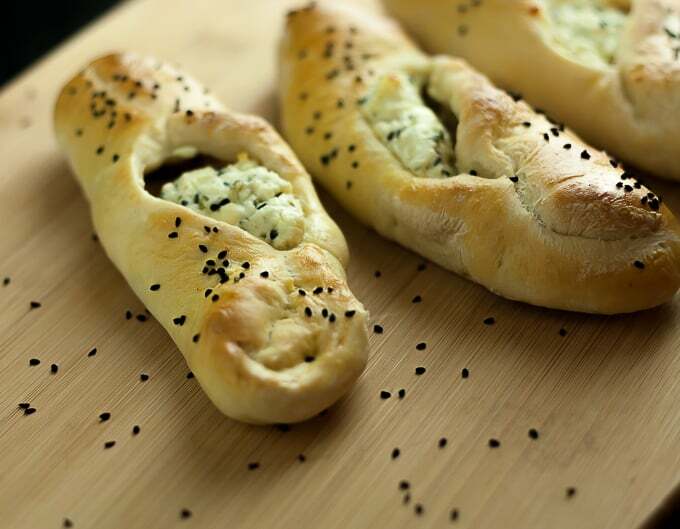 Sprinkle each individual fatayer with nigella seeds. Bake for about 15-20 minutes, or until fatayer appears golden and crispy. Garnish each fatayer with chopped parsley. Oh my goodness I need to make these! I love baking with yeast, and I happen to have a half pound of ground lamb in the freezer. It was meant to be!! Carbs are my best friend! These looks tasty! Thanks Sasha! I love carbs too!!! Hello, how long is each one of those? I was thinking of making these and not sure how many servings each one is? Sandra, I think you can use frozen bread dough. I don’t know what you mean by cloaked; please let me know. I see we are both lovers of carbohydrate. This meal can be eaten at any occasion, actually a super snack. Aren’t carbs awesome? 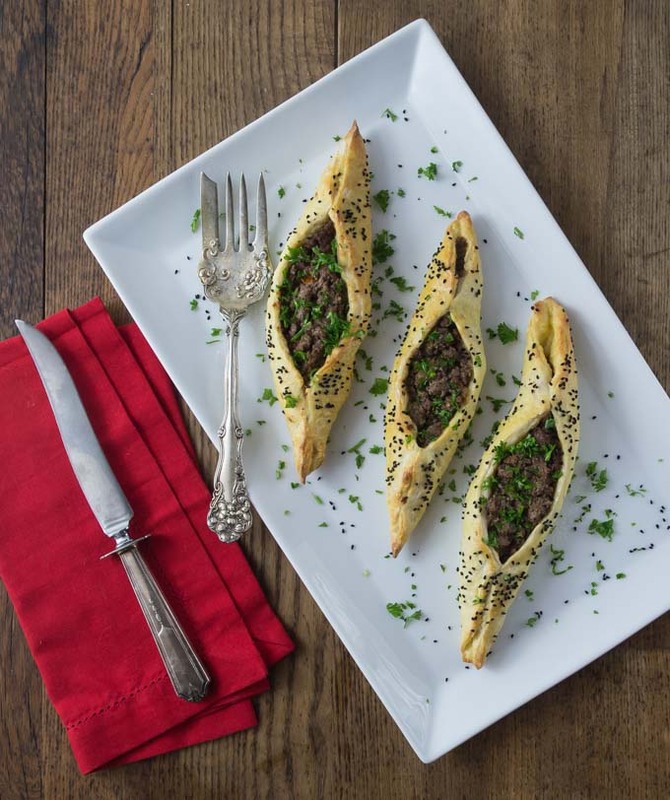 I love lamb fatayer because it can be a snack, or a main dish paired with a salad.